Is Your Swimming Pool a Death Trap? Is Your Swimming Pool a Death Trap? Nothing beats a splash in a swimming pool on a hot summer day. This kind of cool, wet fun, along with the joy of entertaining family and friends and getting a healthy workout, has skyrocketed the popularity of pools. According to the Association of Pool & Spa Professionals, 18 million American homes now enjoy the luxury of a swimming pool. But swimming pools can also be hazardous, especially for children. Drowning is responsible for more deaths among children aged one to four in the U.S. than any other cause except birth defects—and most drowning accidents happen in home swimming pools, according to the Centers for Disease Control. Kids aged one to three are at greatest risk, but older kids are in danger, too. Drowning is the second leading cause of unintentional injury-related death for kids younger than 15. And for every child who dies, ten end up in the ER for nonfatal submersion injuries such as brain damage. If you own a pool, it is very important to proactively ensure the safety of kids. The most important measure is to supervise with vigilance. Be sure a responsible adult closely watches any kids playing in or around the pool. This adult should never be talking on the phone, texting, playing video games, reading or doing anything that distracts or diverts his or her attention. When watching a pre-school or younger child, this supervising adult should be close enough to reach the child within a second or two. Keeping kids away from the pool when a supervisor isn’t present is critically important. 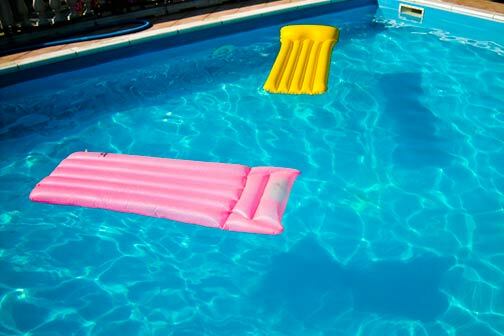 Here are seven measures that can help prevent most home swimming pool accidents. Where toddlers are near, a swimming pool must block access. 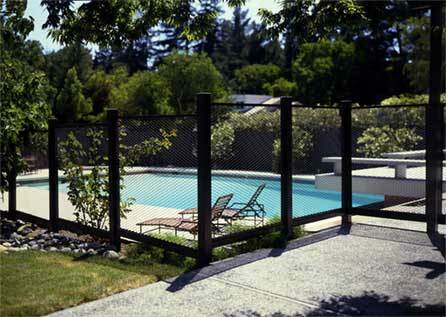 Here, a child safety fence surrounds the pool area. Be sure the pool and spa area is completely fenced. 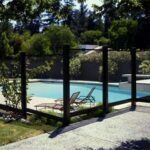 Before building a pool fence, check local building codes for requirements. 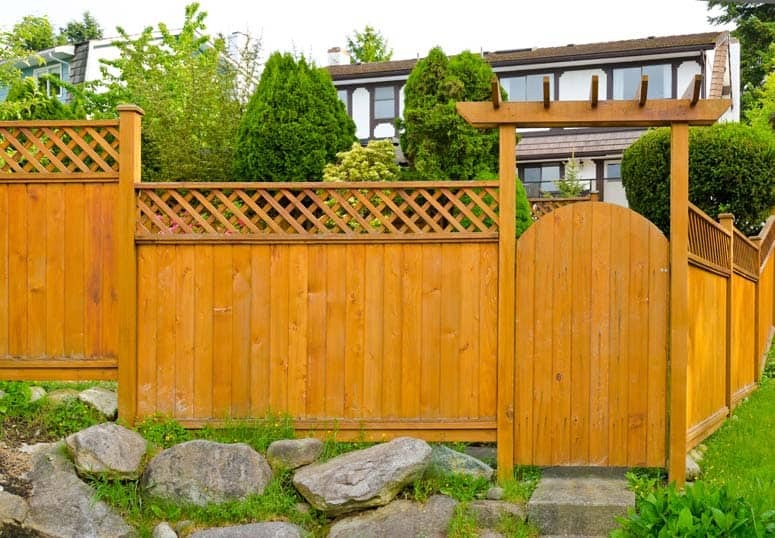 In most cases, the fence must be at least 4 feet high (5 or 6 feet is better and may be required), and it should be located at least 3 feet away from the pool to allow for safe passage inside the fence. It should not have horizontal footholds or grips that allow kids to climb it. Vertical slats should be separated by spaces no greater than 4 inches. Please note: Standard chain-link fences are not secure because they are too easy to climb. If you opt for removable mesh pool fencing, check that it meets ASTM standards for safety. 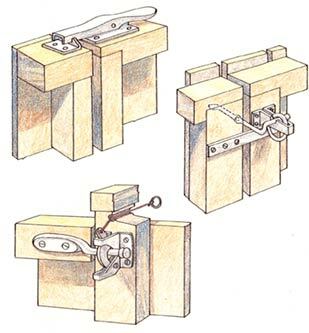 For safety, gate latches should automatically latch when the gate closes. Make sure the gate can’t be opened by a child. Any gate to the pool area should have self-closing spring hinges and a self-locking latch that is well out of reach—ideally, 60 inches from the ground. The latch should be designed specifically for pool security. Protect all access to the pool. Look for ways kids might get from the house to the pool—doors, windows, doggy-doors and the like. A door that leads to the pool area should be equipped with a childproof lock and an automatic door closer that has a release mechanism located at least 60 inches above the floor. Remove or lock an aboveground pool’s ladder or steps when it’s not in use. 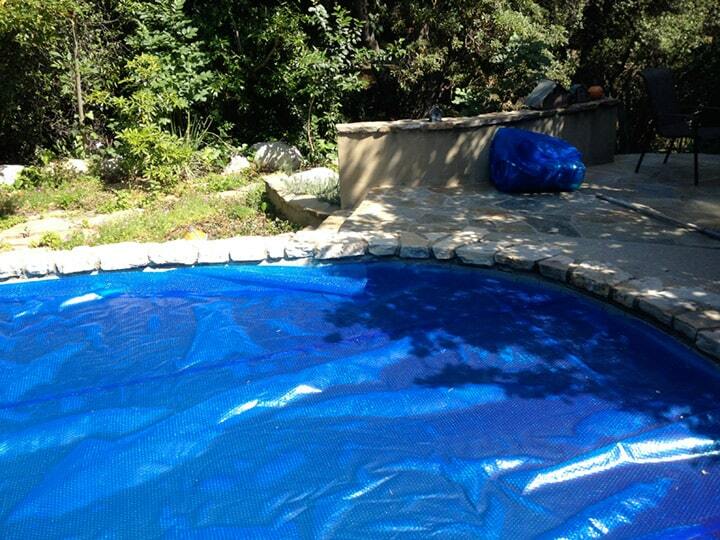 Retractable swimming pool cover can support an adult when closed. Consider a child-safe pool cover or pool alarm. 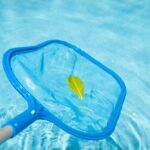 The pool cover must cover the pool entirely and be fastened to the pool deck so that a child can’t get under it—it should never be left partially covering the pool. Always pump standing water off of the cover’s surface. Protect a hot tub or spa with a locking safety cover. 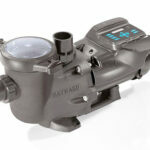 If you buy a pool alarm, be sure it meets ASTM pool alarm standards. Be sure the drains are safe. When the pump is running, a pool or spa can have very strong suction that may pull kids down to the drain and trap them. Check the drain of a spa, hot tub or swimming pool for possible suction entrapment hazard. Every pool or spa should have at least two drains separated by a minimum of 3 feet, and each drain cover should have an anti-entrapment grate. Check for an expiration date on the cover—if it’s time to replace it, do so. 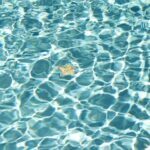 Never allow people to use a pool that has a missing, broken or improperly installed drain cover.